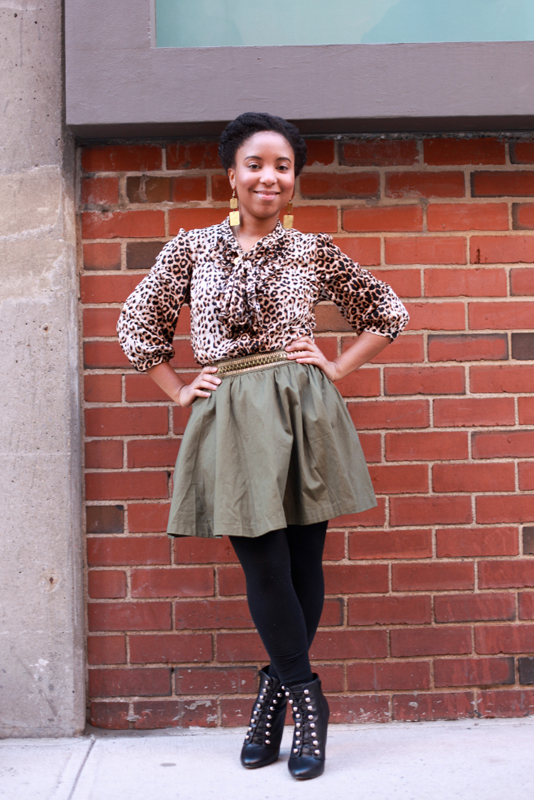 "Really, I love skirts, I love separates, and I love prints. So really, I was inspired by all of those things to combine them into my look today." Shenneth kindly wore this outfit in 20 degrees F weather (writing this, holy!) to pose for fashionist. So, already, yay Shenneth! 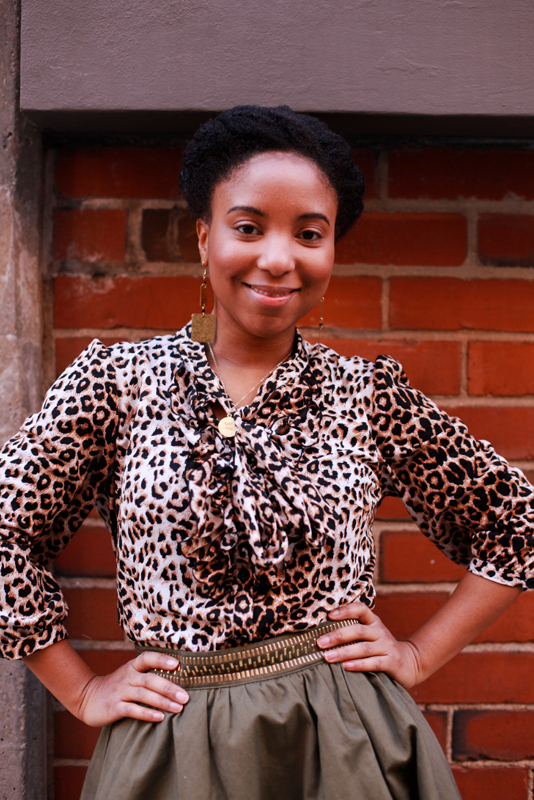 Also, super cute with the animal print and accessories. 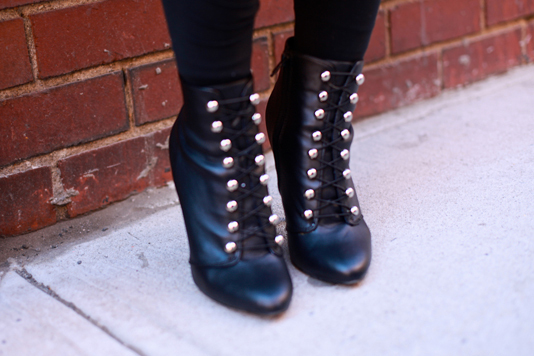 These boots are to die for. It was nice to meet you at the IFB Conference. Thanks again for taking my pics! Thanks for braving the cold and being such a good sport.